The Garden Plot: GMG's Friday Find: Have the Last Laugh with Havahart! GMG's Friday Find: Have the Last Laugh with Havahart! Today's Friday Find is for those who have unwanted guests in their yard. I don't mean your neighbors...I mean of the four-legged kind! Don’t let deer, rabbits or other critters snack on your costly plants or destroy your beautiful garden! 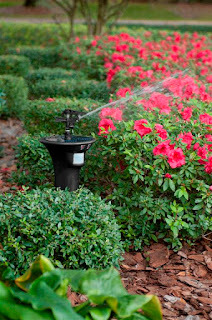 Homeowners battling unwanted animals on their property can finally win the war and protect costly home investments with the new Spray Away Elite repellent, a solar-powered, hose-free motion-activated deer and animal repellent. 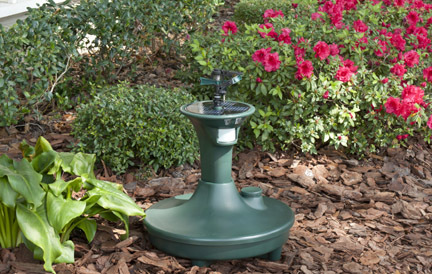 This high-tech animal repellent sprinkler from Havahart, the leading nuisance animal control company, keeps deer, rabbits, skunks, groundhogs, herons and other unwanted animals like the neighbor’s dog or cat out of the garden, lawn and ponds by chasing them off with a blast of water. The Spray Away Elite Motion Detector Sprinkler Animal Repellent will give you peace of mind. With its water-based repellent you won’t have to worry about your kids or pets playing in the yard. And you won’t have to look at unattractive fences or other barriers you may have used to keep animals away. Spray Away Elite works by detecting an animal’s heat and movement with infra-red sensors. 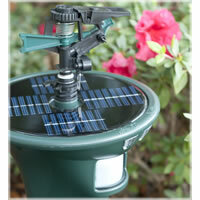 Once detected, the system releases a sudden burst of water to scare the animal away. An adjustable sensitivity detector and random spray pattern prevent animals from growing accustomed to the sprinkler. 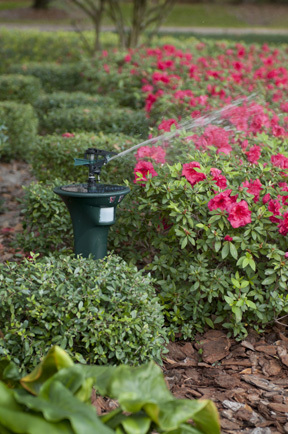 Instead of a hose, it utilizes a water basin that holds 3.5 gallons of water and lasts for approximately 35 activations. The basin can be buried for discrete nuisance animal protection. Havahart’s Spray Away Elite is also equipped with smart sensors that blink when the unit is Low on Battery OR Low on Water. This means you don’t have to keep checking the water level or question when to recharge the unit – Spray Away Elite will tell you! 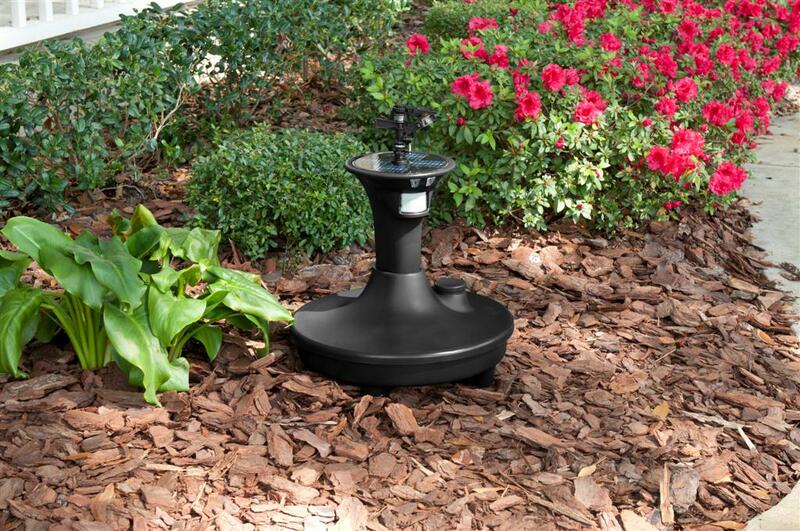 So if deer and other critters are coming to your home to feast...be on guard with Havahart!